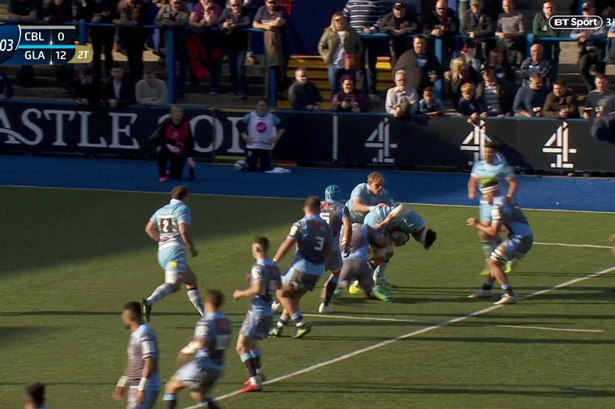 You might have heard about the colour-clash problems in the Heineken Champions Cup rugby union game between Cardiff Blues and Glasgow Warriors at the weekend. Essentially, the Blues were in their European shirt, a navy/grey and light blue affair, while the visitors, strangely, were in their sky blue and white hooped change tops. 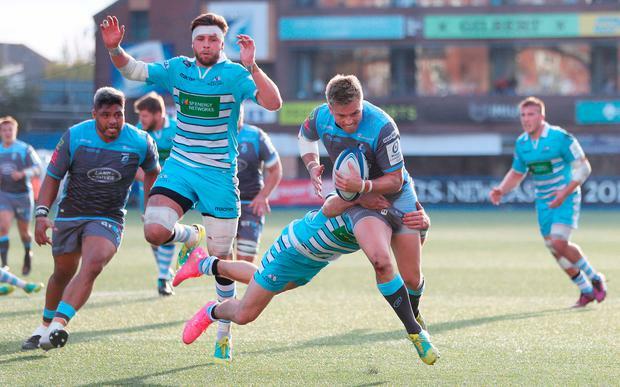 It made for quite the mish-mash, hindered further by the sunny conditions, with players and coaches critical and the governing body, the EPCR, having to apologise to the clubs as it had sanctioned the colours. To be fair to whoever made the call, it can be argued that it wasn’t a clash in the traditional sense – look at this picture and you’ll see that, while it was far from ideal, the shirt-fronts are quite different. However, this goes to heart of the issue in how colour-clashes in rugby differ from those in football. Because of how the game is played and the offside rule which means no player can be ahead of the ball-carrier, rugby is more of a side-on game, and the layout of the panels on the Cardiff and Glasgow shirts was the root of the confusion. It brought to mind another high-profile kit incident from the 2007 Rugby World Cup. 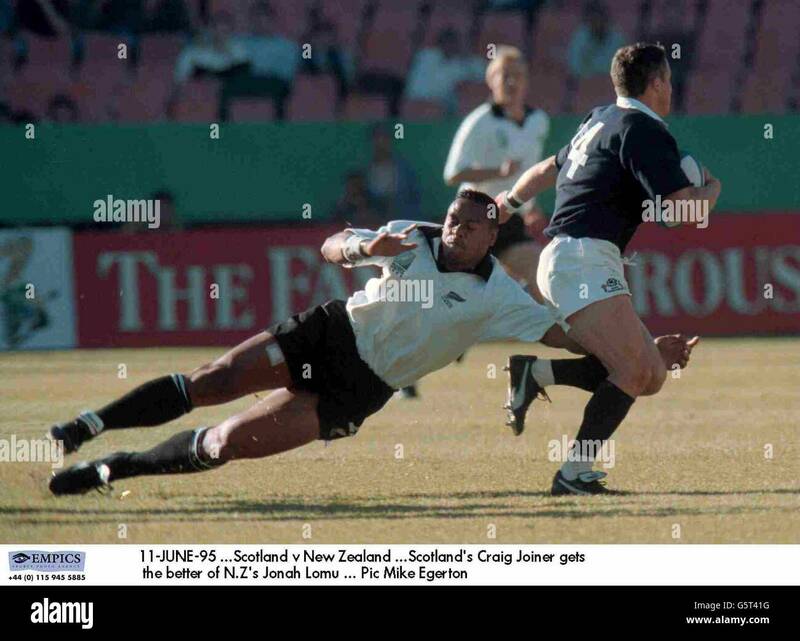 On that occasion, Scotland and New Zealand were in the same pool and when they met at Murrayfield, the All Blacks had to wear their alternative shirts. Traditionally, white had been their second-choice colour – like when they played Scotland in 1995 – but this time adidas had given them grey tops with the side panels resembling their silver fern crest. Scotland were clad in Canterbury kits at the time and the company – native of New Zealand, incidentally – had a very busy template, featuring lots of lines and panels as new technology allowed for experimentation in materials which would aid performance. These included areas on the shoulders and chest made up of lots of small circles. On the Scotland shirt they were white, giving a grey effect. The above doesn’t look too bad in terms of differentiation, but in practice, it was difficult. At the same time, a 40-0 win for New Zealand suggested they had managed okay. As pool winners, they advanced to the quarter-finals in Cardiff, where they would play France, whose second-placed finish behind Argentina meant that they suffered the ignominy of being hosts but playing a game outside of their own country. Traditionally, France wore royal blue but Nike had given them a darker shade for the World Cup, meaning another colour-clash for New Zealand. Rather than the All Blacks being classed as the home team, having won their pool, there was a coin toss and France won. However, after the Scotland-NZ debacle, the International Rugby Board were wary about how to proceed and so they enlisted the services of a number of students, who were asked to come to the Millennium Stadium and wear France and New Zealand kits in varying combinations to ascertain the best match-up. In the end, the IRB decided that France could wear their first-choice tops, but with the shorts and socks from the white and blue alternative strip. The French players lined up to face the Haka wearing three different t-shirt colours to represent the tricolore (don’t contact us to say it’s the wrong way round – as humans we’re conditioned to see invisible flag-staffs at the left-hand side but they can just as easily be at the right). While that may have unsettled New Zealand and caused a 20-18 defeat, a lack of a drop-goal play was costlier as they continued to chase a game-winning try rather than going for three points. In any case, France were in the semi-finals, but they would lose to England. In 2011 in New Zealand, they did reach the final – against the hosts. Again, they won the toss but this time they diplomatically offered to wear white and the All Blacks bridged a 24-year gap as they won 8-7.